Kate Ogg and her husband David were over-the-moon excited when they found out they were expecting twins. 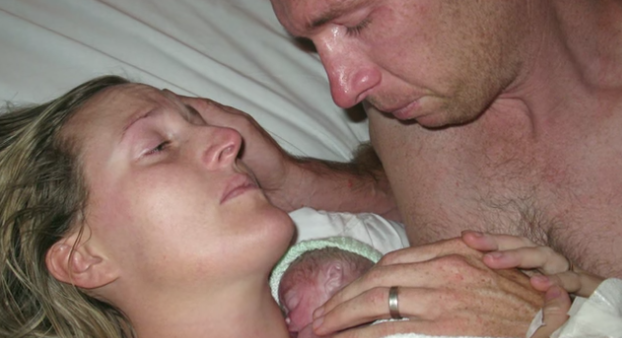 They had been trying for three years and had difficulty conceiving. But their happiness came to a horrifying end after Kate gave birth prematurely and the parents were told their son, who they decided to name Jamie, didn't survive. "Jamie didn't make it," the doctor said as Kate recalled. Absolutely devastated, the parents got into bed with their infant, letting him rest on his mother's chest to feel her heartbeat, and cried uncontrollably. "I wanted as much body heat around this baby as possible because he was cold and I wanted him to be warm. And alive," she continued. "We put his skin against my skin and I just held him." Soon after, they realized their little boy started to move. When they called for the doctor, they were told once again that it's time to say goodbye to their little boy. But the mother wouldn't let go of her child. "Then he opened his eyes and he grabbed David's finger. It was the most astounding and amazing thing that has ever happened," she said. "We realized it was because we had held him. It's what saved his life." Five years later, Jamie is a happy, healthy little boy along with his twin sister. The couple later gave birth to a third child, Charlie. "Sometimes when I'm hugging them I feel I'm hugging them too tight," Kate said. "Because I know how close I came to not having children."